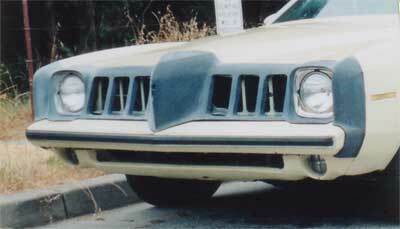 Enjoy our photo collection of Grand Am noses and customer cars. 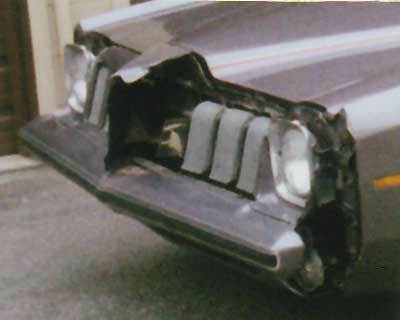 Many Grand Am'ers appreciate and use the photos for restoration reference, encouragement and to get ideas for their cars. If you have pictures of your Grand Am that you would like to share, please email them to us. Be sure to let us know if you want your name added to the photo caption. Note that we reserve the right to refuse any submission, but if you send a decent, well-composed, clear and focused shot, expect it to be used. Note also that the photo doesn't necessarily need to feature our parts, nor does the car need to be finished. We'd like to see entire car photos as well as detail close-ups and in-progress shots. Please send your pics in ".jpg" format if possible. If you cannot send your images electronically and wish to send prints, send them to our regular mailing address. We'll try to update the website a few times a year and will add your photos with the subsequent update. Thanks so much for your patronage and we hope to see your pics soon. See before and after shots of Grand Ams using our replacement facias. See what our facias look like mounted on various customer cars. Customer cars in various stages of restoration.